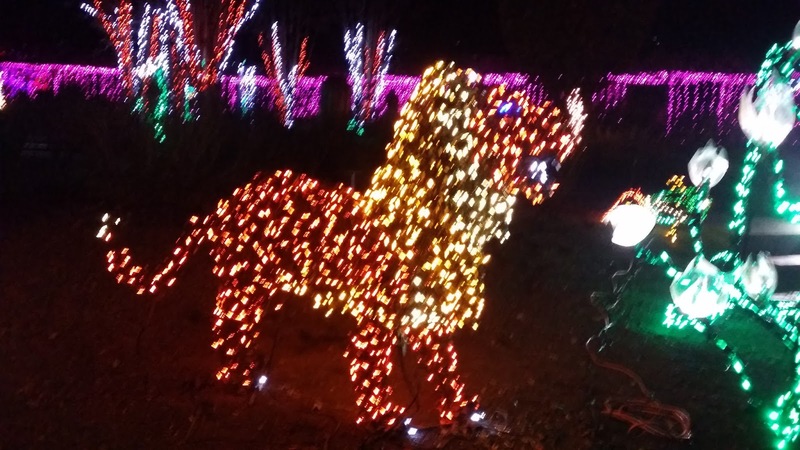 This year, the Garden of Lights, Brookside Gardens’ holiday outdoor light exhibit, celebrates its 19th season as a Baltimore/Washington, DC area family holiday tradition. 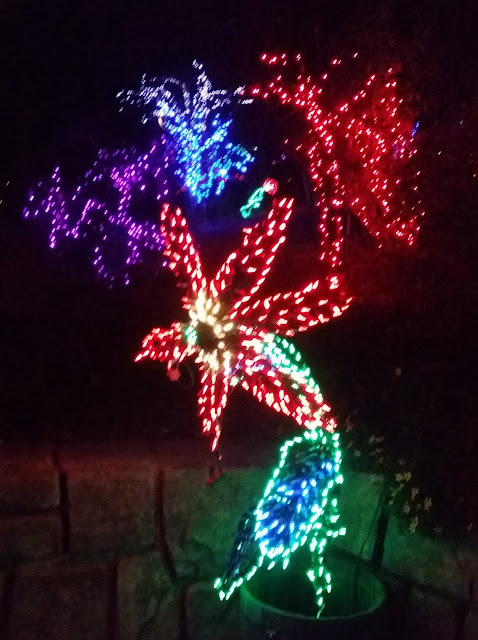 During just one month a year, Brookside Gardens is illuminated with more than one million dazzling colorful lights shaped into hand-crafted, original art forms of flowers, animals and other natural elements. Stroll from garden to garden enjoying twinkling tree forms, fountains, sparkling snowflakes overhead and more. In 1965, the Maryland National Capital Park and Planning Commission began development of a display garden in Wheaton Regional Park on a site formerly owned by Stadler Nursery. The original grounds of Brookside Gardens were comprised of three formal gardens leading to a Wedding Gazebo, an Azalea Walk on the brow of the hill, plantings around the entrance, and the Conservatory. As you walk around, you will hear the laughter of children enjoying the colorful lights. lots of trees outlined in a variety of colorful lights. Whether you go for a romantic and whimsical stroll through the Garden of Lights with your special someone, or bring along the kids, it's a great way to enjoy the holiday season! Know before you go: Dress warmly -- you're walking around, at night, during winter. Hours: The grounds of Brookside Gardens are open every day of the year. The Garden of Lights is open November 25, 2016 - January 1, 2017, Sunday - Thursday: 5:30 - 9 p.m., Friday - Saturday: 5:30 - 10 p.m., open every night except December 24 & 25. Awesome, never knew about this! Was it difficult to find parking?